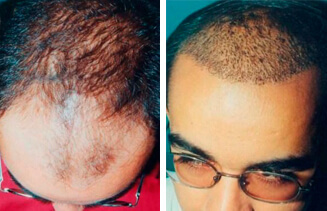 Hair Grafting is a surgical technique that involves moving individual hair follicles from one part of the body (the donor site) to bald or balding parts (the recipient site). It is primarily used to treat male pattern baldness, whereby grafts containing hair follicles that are genetically resistant to balding are transplanted to bald scalp. However, it is also used to restore eyelashes, eyebrows, beard hair, chest hair, and pubic hair and to fill in scars caused by accidents or surgery such as face-lifts and previous hair transplants. Since hair naturally grows in follicles that contain groupings of 1 to 4 hairs, today’s most advanced techniques transplant these naturally occurring 1–4 hair "follicular units" in their natural groupings. 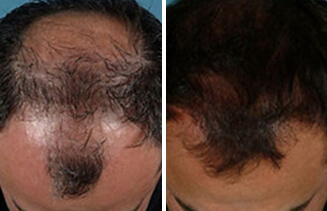 Thus modern hair transplantation can achieve a natural appearance by mimicking natural hair for hair. This hair transplant procedure is called Follicular Unit Transplantation (FUT) or Follicular Unit Hair Transplantation (FUHT). A strip of scalp is removed under local anesthesia, the wound is then sutured back together and this piece of scalp tissue is then cut into small pieces, from which individual follicle is separated under magnification called “Follicles” or Grafts. These follicles or grafts are then transplanted back into the bald area of the patient’s head (recipient area). This method will leave a linear scar in the donor area, which is usually covered by the patient’s hair (if long) and almost invisible. The recovery period is around 2-weeks and will require the stitches to be removed by medical personnel. Individual follicles of hair are removed under local anesthesia; this removal uses tiny punches of between 0.6mm and 1.25mm in diameter. Each follicle is then reinserted back in to the scalp in the bald area using a micro blade. 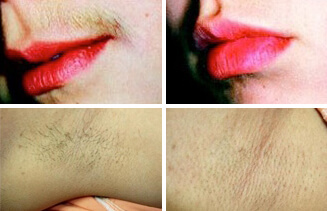 Because individual follicles are removed, only tiny, punctate scars formation occurs, which is practically remain invisible. No suture removal is required. At an initial consultation, the surgeon analyzes the patient's scalp, discusses his preferences and expectations, and advises him on the best approach (e.g. single vs. multiple sessions) and what results might reasonably be expected. For several days prior to surgery the patient refrains from using any medicines, which might result in intraoperative bleeding and resultant poor "take" of the grafts. Alcohol and smoking can contribute to poor graft survival. Postoperative antibiotics are commonly prescribed to prevent wound or graft infections. Hair transplant operations are performed on an outpatient basis, with mild sedation (optional) and injected local anesthesia, which typically last about six hours. The scalp is shampooed and then treated with an antibacterial agent prior to the donor scalp being harvested. In the usual follicular unit strip procedure, the surgeon harvests a strip of skin from the posterior scalp, in an area of good hair growth. The excised strip is about 1–1.5 x 15–30 cm in size. Working with binocular stereomicroscopes or magnification loupe, follicles are carefully removed from excess fibrous and fatty tissue while trying to avoid damage to the follicular cells that will be used for grafting. The latest method of closure is called ''Trichophytic closure' which results in much finer scars at the donor area. FUE harvesting negates the need for large areas of scalp tissue to be harvested and can give very natural results with little or no scarring. 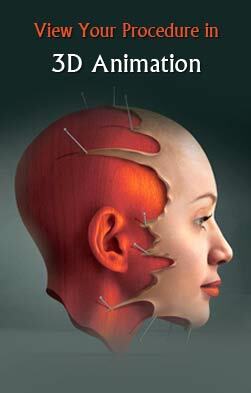 The surgeon then uses very small micro blades or fine needles to puncture the sites for receiving the grafts, placing them in a predetermined density and pattern, and angling the wounds in a consistent fashion to promote a realistic hair pattern by inserting the individual grafts in natural angle & place. Advances in wound care allow for semi-permeable dressings, which allow seepage of blood and tissue fluid. The vulnerable recipient area must be shielded from the sun, and shampooing is started a week after the surgery. During the first 10-20 days, virtually all of the transplanted hairs, inevitably traumatized by their relocation, will fall out ("shock loss"). After two to three months new hair will begin to grow from the moved follicles. Then the patient's hair will grow normally, and continue to thicken through the next six to nine months. So the final result of hair grafting is visible after 8-12 months after surgery. Any subsequent hair loss is likely to be only from untreated areas. Some patients elect to use medications to retard such loss, while others plan a subsequent transplant procedure to deal with this eventuality. There are two main ways in which donor grafts are extracted today: strip excision harvesting and follicular unit extraction. 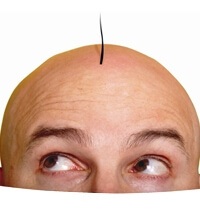 Strip harvesting is the most common technique for removing hair and follicles from a donor site, most commonly the area at the back and sides of the scalp. Each incision is planned so that intact hair follicles are removed. Once removed, the strip is dissected into follicular units, which are small, naturally formed groupings of hair follicles. Follicular Unit Extraction (FUE) takes place in a single long session or multiple small sessions. FUE is considered to be more time consuming, depending on the operator's skill, and there are restrictions on patient candidacy. The advantages of this technique over the conventional strip harvest are that it does not leave a linear scar, and the procedure produces lesser postoperative pain and discomfort. There are some disadvantages such as increased surgical times, a little higher chance of damage to the follicles in the hand of new surgeon and higher cost to the patient. Ques. Which technique is more advisable among the various available options of hair grafting? Ans. Determining which hair transplant technique is right for you is a matter of personal choice based on factors such as procedure time, cost, time that you are willing to wait for result and number of procedures required. Beware of that a variety of over-the-counter and herbal remedies claim to slow hair loss or grow back hair, they not only affect your pocket but also have many side-effects causing severe consequences like disturbing normal hair growth, and even contribute to speed up hair loss. How much will a Hair Transplantation Surgery Cost?